As we address the issues of sexuality and marriage, love does not necessarily mean agreement nor does disagreement necessarily mean hate. But in our obedience, God often reveals the deeper things of Himself. How have you seen or experienced hate speech in regards to the issue of sexuality and marriage? Read Matthew 19:1-6. What do these verses tell us about human nature? What does this section tell us about God? How does Jesus define marriage in this section? How is marriage a modeling of the gospel? How would you answer the following question? "How can you expect a person with strong sexual desires to be denied the privilege and the right to express those desires?" How does the theme of obedience play into the topic of sexuality and marriage? For the follower of Christ, should obedience trump desire or desire trump obedience? Defend your answer with scripture. 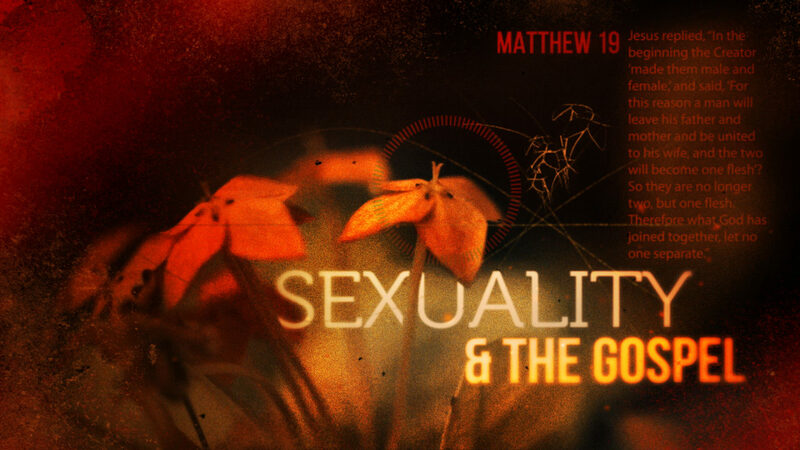 How does the gospel speak to our struggles with sexuality? How does the gospel call us to view others' struggles with sexuality, even their struggles are very different from our own? Do you feel your views on sexuality are balanced with grace and truth? Where do you need to grow in this balance? Spend some time in prayer for this.